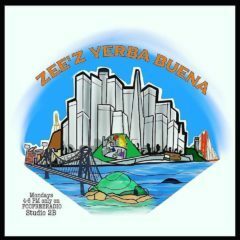 Zee’z Yerba Buena #12 – Radio for the People, by the People. Hey there everybody!!!! Zee here back with ya after a two week break for another Zee’z Yerba Buena! Today in studio2b I will be joined by my friend Polo G! A San Francisco native and one of the best DJ’s I know! Today We’ll be talking about Polo’s DJ life and the changes we’ve noticed in San Francisco over the years. Join us today at 4:00 P.M. PST live from the John Miller studios!!! Only on FCCFREERADIO!! !